Here are things that I love. Nothing gets listed here unless I try it and love it. Some of my happiest memories as a carefree youth were wandering the non-fiction section of my local library. I’d randomly pick up books ranging from auto repair to carpentry to gardening to architecture, whatever struck my fancy. 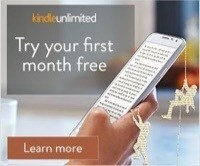 I’ve found that the non-fiction categories of Kindle Unlimited are a very similar experience. There are tens of thousands of books on topics like Business, Computers, Cooking, Crafts, etc. They range from crazy e-pamphlets to really good, in depth books, but it’s fun to just wander and not have to worry about paying for each book. When I was 16, I spent the summer apprenticing for a carpenter in NY. For some reason, these guys loved to talk about how much they loved their Estwing hammers. I thought I had joined some kind of cult. One day, we were working on a job and we heard a bit of a kerfuffle down the road. A couple was having a loud, noisy fight, and it was getting violent. My carpenter shouted “follow me!” and grabbed his trusty Estwing hammer. The rest of us followed suit. Apparently three guys brandishing Estwing hammers was enough to scare the wife beater away — he jumped in his crappy car and sped off. 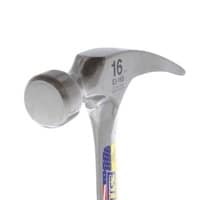 I’ve proudly owned an Estwing hammer ever since them. Estwing — the Hammer of Men who Scare Wife Beaters. I read a bunch of articles looking for the fastest WordPress host. Why do I care about speed? Because Google does. On a couple of the sites that came up as fast, I used their chat support to see how quickly they answered a question. The worst took 15 minutes before I disconnected. 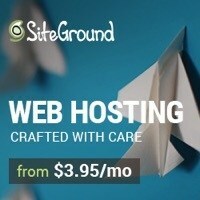 SiteGround was super fast, responding in about 30 seconds. I asked my extremely talented friend Carissa, and she uses SiteGround for her author site and loves it. You can sign up for a trial here. Two-factor authentication so some baddy can’t take over my websites. NameCheap fits the bill. I’ve been using it for the past few years, and love it. I also like having my domain name separate from my WordPress hosting service, which gives me more flexibility if I change hosts.